Hand sculpted and finely detailed this wall cross, presented by James Brennan™ is a memorable gift for special occasions. 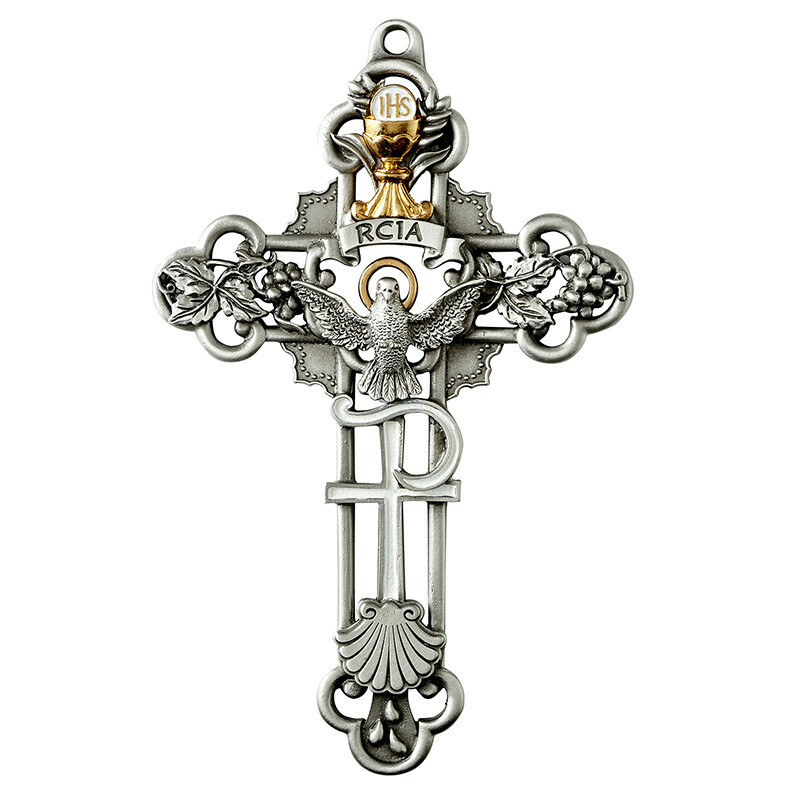 Designed, sculpted, cast, finished and assembled in the United States, our RCIA wall cross features a dove and chalice design with the Pax Christi icon. Catechumens will delight over this striking addition to any home decor and make it a treasured keepsake for years to come. Comes gift boxed in retail-ready packaging.